Several incumbents in Congress fended off primary challenges Tuesday night, while U.S. Rep. Ralph Hall, R-Rockwall, heads into a runoff against John Ratcliffe. Texas primary voters showed a preference for incumbents in Congress on Tuesday, as U.S. Sen. John Cornyn and U.S. Rep. Pete Sessions, both Republicans, and U.S. Rep. Marc Veasey, a Democrat, fought off high-profile challenges from within their own parties. Another incumbent, U.S. Rep Ralph Hall, R-Rockwall, nearly avoided a runoff in his bid for an 18th term, drawing just less than 50 percent of the vote against challenger John Ratcliffe, a former U.S. attorney during the George W. Bush administration and mayor of Heath. In the five-way Democratic primary for the U.S. Senate seat, David Alameel and Kesha Rogers, who supports the impeachment of President Obama, were bound for a runoff. Alameel, who has invested some of his personal fortune in the race, has drawn the support of the state party's standard bearers, Sens. Wendy Davis and Leticia Van de Putte. The Texas Democratic Party has denounced Rogers for her views and urged voters to not support her. In declaring victory over seven challengers, Cornyn kept to the tone of inclusiveness he has struck since kicking off his campaign in the fall. U.S. Rep. Steve Stockman, whose challenge to Cornyn drew national attention because of his unusual approach to campaigning, came in a distant second to Cornyn. He conceded the race just over an hour after most of the state’s polls closed. “We wish Senator Cornyn best of luck in November and urge everyone to vote for, volunteer for and support the whole Texas GOP ticket. #family,” Stockman tweeted. Dwayne Stovall, a construction contractor in Cleveland who drew some Tea Party support in the final weeks of the primary, came in third. Pundits began predicting a tough primary fight for Cornyn last year, as differences between he and U.S. Sen. Ted Cruz surfaced. When the pair differed on votes or tactics, groups like FreedomWorks and the Club for Growth excoriated Cornyn as timid and insufficiently conservative. Stockman’s entry in the race in early December initially surprised many. That soon gave way to puzzlement as he opted to make few public appearances and left the country for several days. While Stockman avoided most media requests throughout his campaign, he regularly spoke with conservative radio pundits. In some of those interviews in recent weeks, Stockman seemed to be bracing for a loss. “We will continue to fight no matter what happens, but I think it was the right thing to do,” Stockman told Janet Mefferd, a Dallas-based radio host, last week. 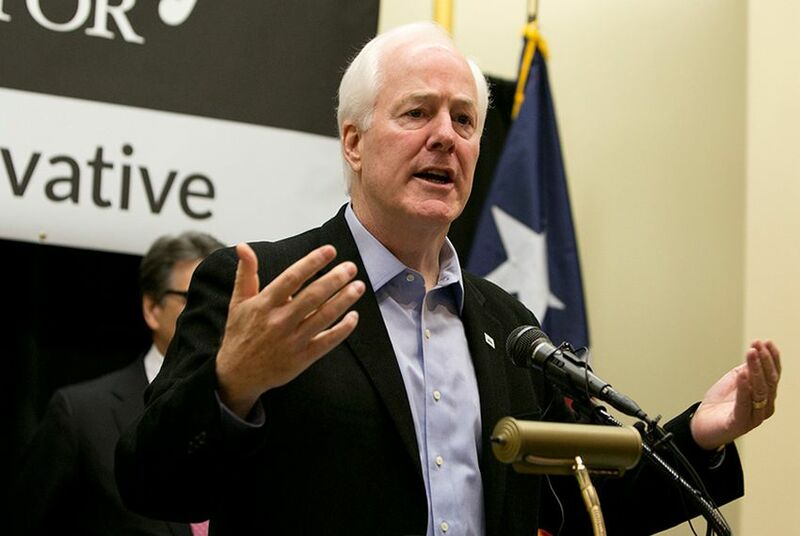 “I really felt Cornyn was undermining the conservative principles that we ascribe to." It was a similar story in Dallas, where political consultant and activist Katrina Pierson accused Sessions of being a moderate and not fighting aggressively enough to repeal or defund Obamacare. The race drew plenty of national attention, including endorsements from local Cruz’s father, Rafael Cruz, Sarah Palin and various Tea Party leaders. Yet Pierson never managed to gain traction in the congressional district. “I’m committed to defending our conservative principles in Washington and working to help Republicans win back the Senate so that we can roll back the Administration's reckless spending and assault on the free-enterprise system,” Sessions said in a statement Tuesday evening. Pierson said she believed she fought the best race she could given her campaign's limited resources. While Pierson struggled to raise enough funds in her bid against Sessions, Ratcliffe loaned his campaign more than $400,000 in his challenge to Hall, who at 90 is the oldest member of Congress. A World War II veteran, Hall was first elected to Congress in 1980 as a Democrat and switched parties in 2004. Ratcliffe painted Hall as out of touch, while Hall argued that his longevity gave him valuable experience. In a statement, Ratcliffe was upbeat and said it was "time for Republicans to finally start winning again." Hall’s campaign did not immediately respond to requests for comment. Former U.S. Rep. Francisco “Quico” Canseco is also headed toward a runoff against San Antonio native and former CIA agent Will Hurd in the CD-23 GOP primary. Both Canseco and Hurd had 41 percent of the vote with 79 percent of precincts reporting. The district, which spans from El Paso to Bexar counties and includes the largest swath of the Texas-Mexico border, is considered a toss-up for either party in November. Canseco represented the district for one term until being unseated by incumbent U.S. Rep. Pete Gallego, D-Alpine, in 2012. Gallego was unopposed in the Democratic primary. Canseco, a Laredo native, touts his Hispanic roots and says he fought hard to protect Texas from spillover violence. Hurd also lists border security as key to his platform. In the Houston area, the race to replace Stockman in the U.S. House is also headed to a runoff. Former Woodville Mayor Ben Bagin and Houston mortgage banker Ben Streusand led 10 other challengers for the seat, drawing 36 and 23 percent of the vote, respectively, according to incomplete totals. Several other Texas congressmen easily beat primary challengers Tuesday night, including Veasey, a Fort Worth Democrat, who faced a well-financed challenge from lawyer Tom Sanchez. Additional reporting from Julián Aguilar and Edgar Walters. Correction: An earlier version of this story misidentified the former Woodville mayor who was headed to a runoff in the race to replace U.S. Rep. Steve Stockman. He is Brian Babin, not Ben Bagin.